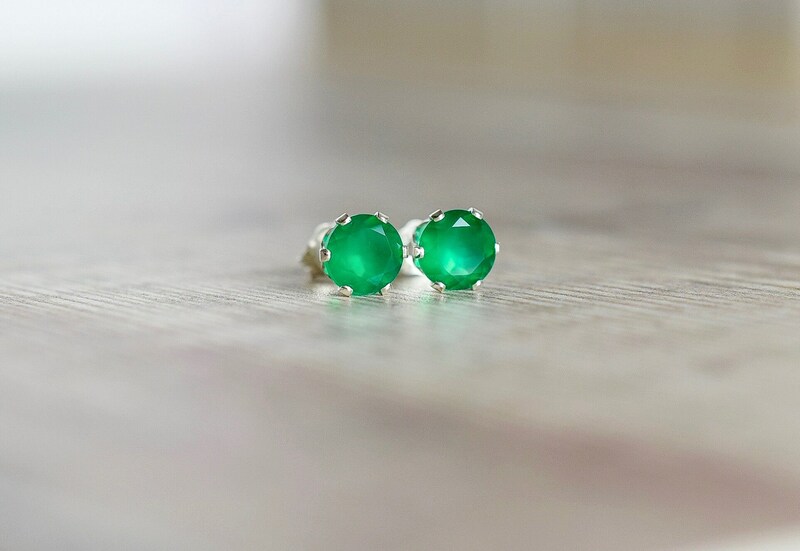 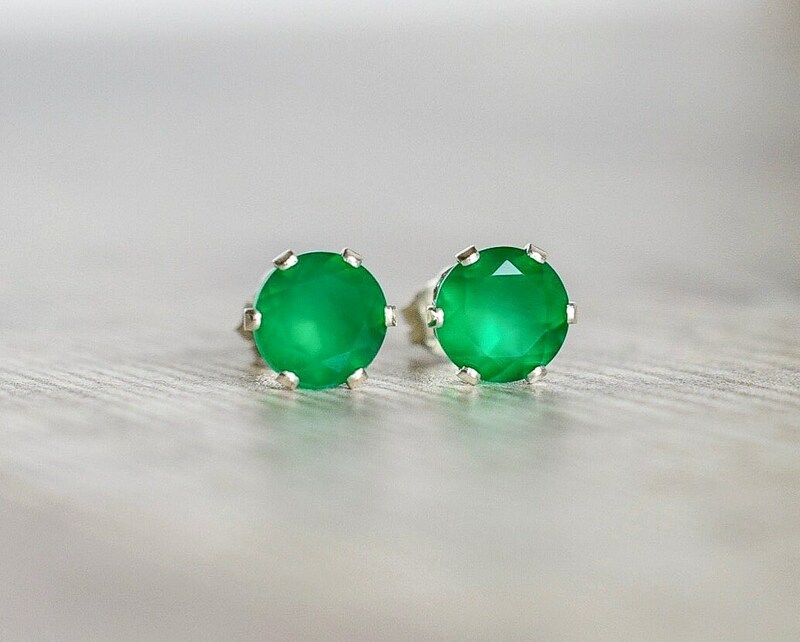 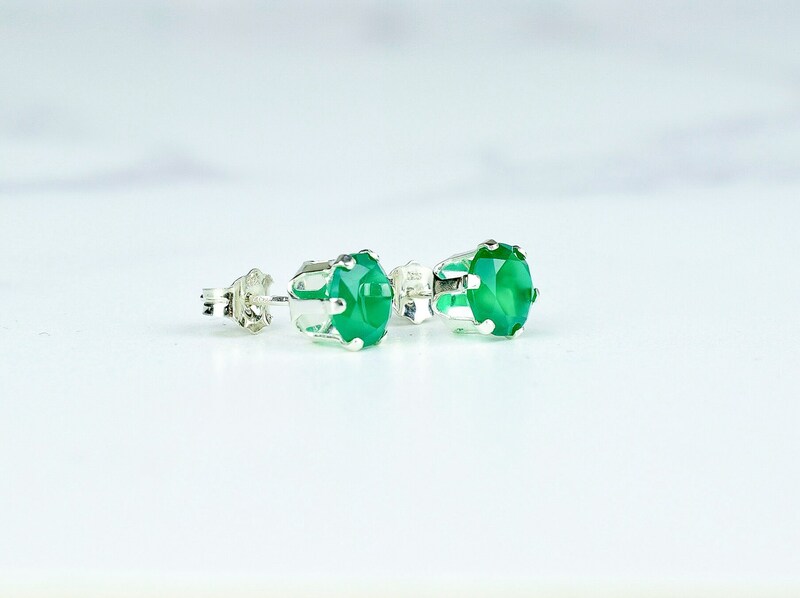 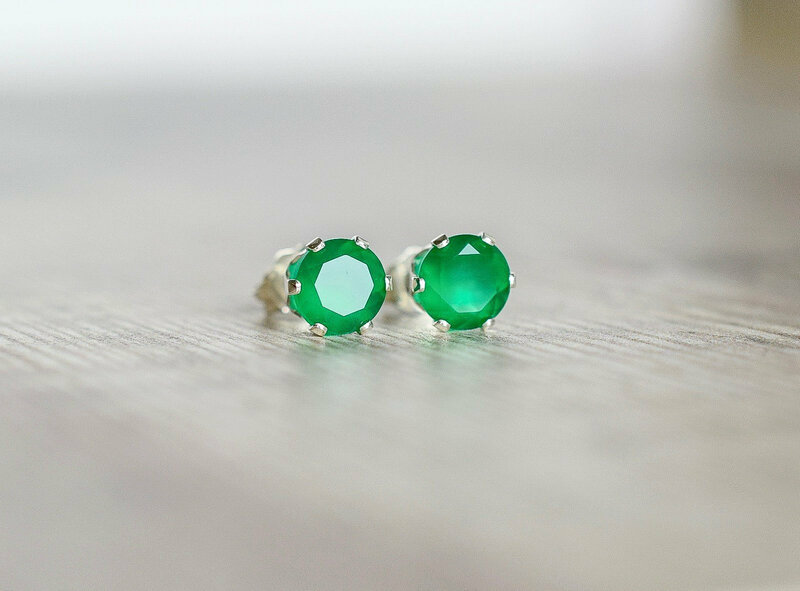 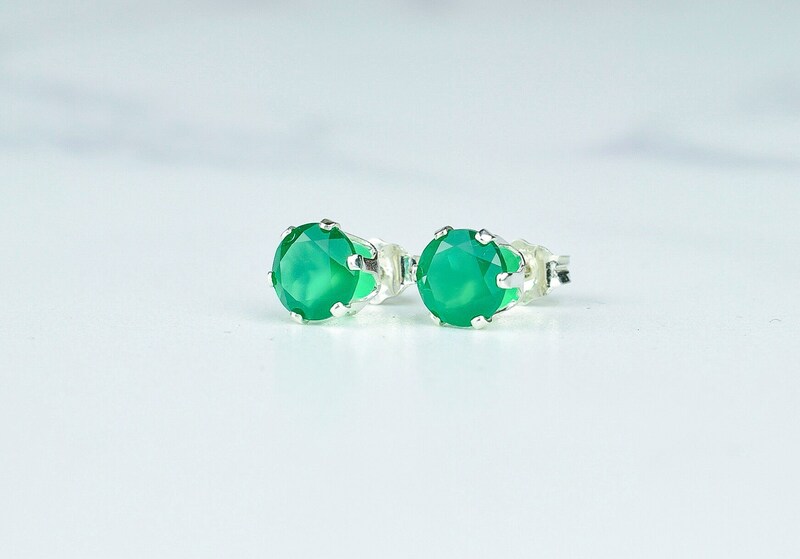 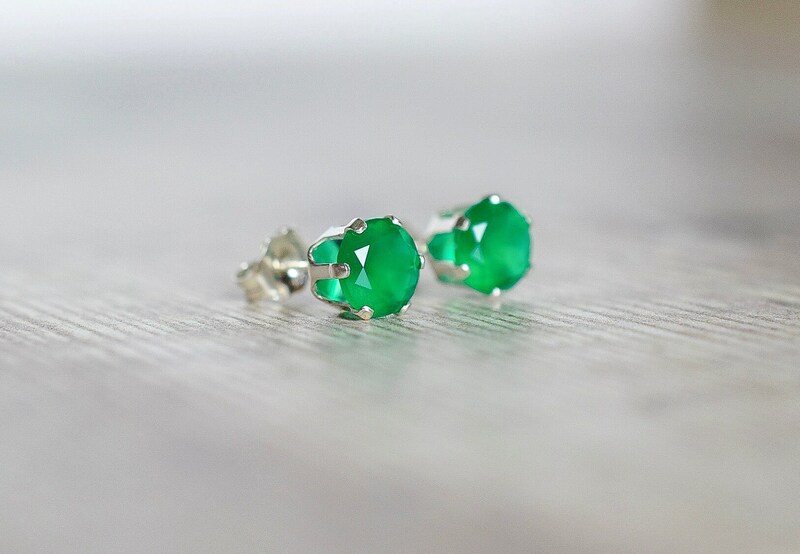 These beautiful gemstone stud earrings are designed with bright green Onyx gemstones and paired with Sterling silver six-claw ear settings. 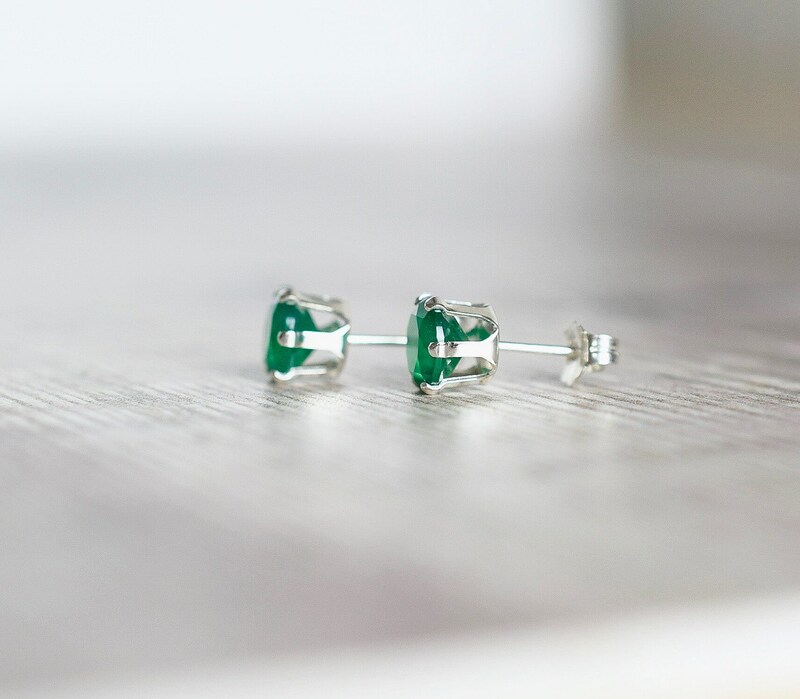 The earrings have butterfly scrolls for backs which are also Sterling silver. 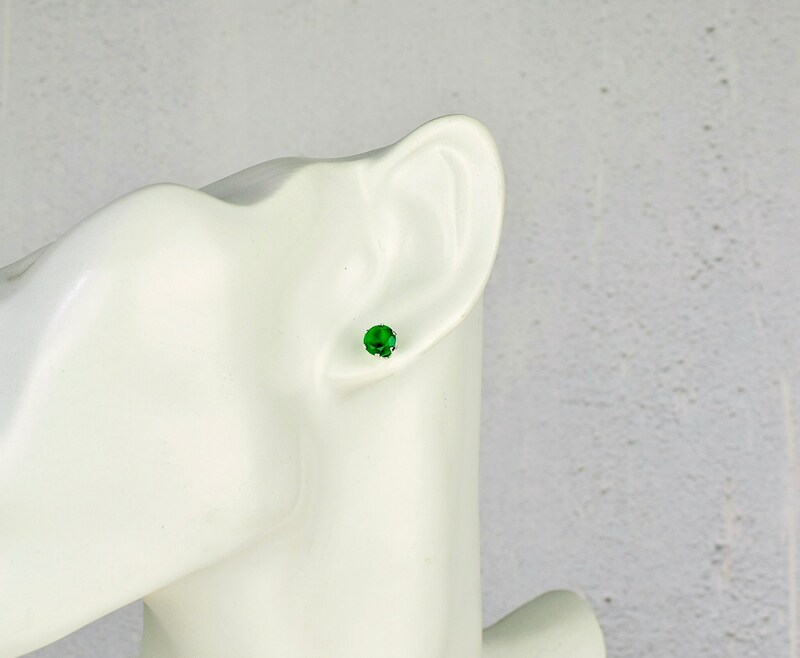 These vibrant studs are perfect for everyday wear or for a special occasion. 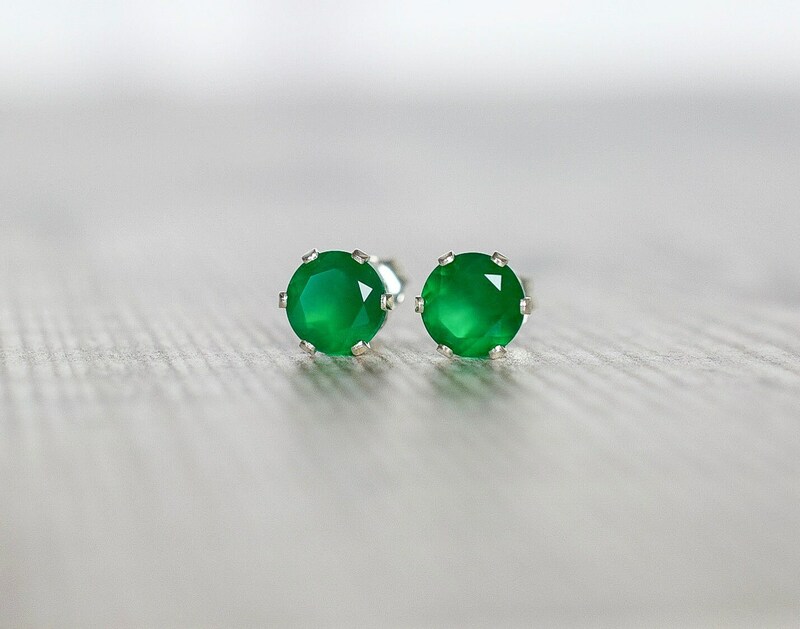 * The Green Onyx gems measure 6mm. 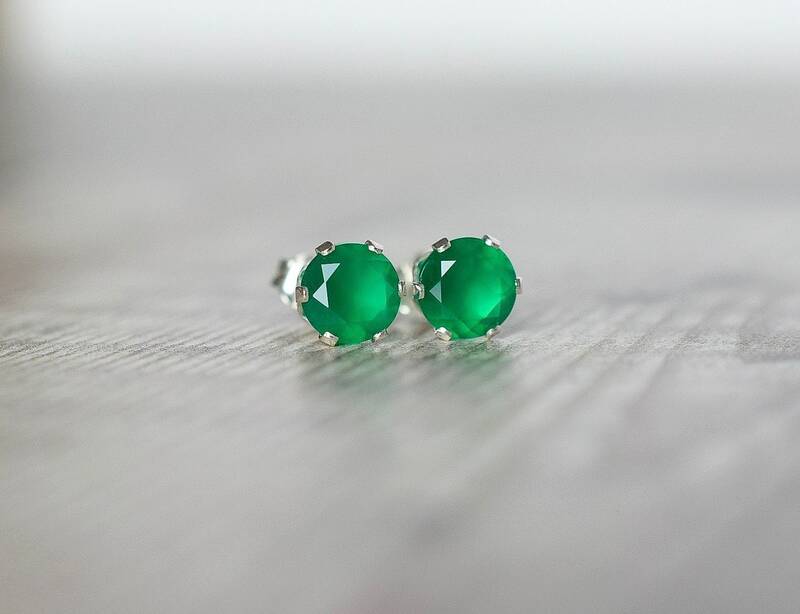 ✨ Green Onyx is thought to attract positive energy and to repel negative energy and vibes from around the wearer.